Title: 09/07/1993 - Requirement for additional employee training whenever new hazards are identified. This is in response to your inquiry of August 11, concerning the Occupational Safety and Health Administration's (OSHA) Hazard Communication Standard (HCS), 29 CFR 1910.1200. You requested clarification of 1910.1200(h), regarding the requirement for additional employee training whenever new hazards are identified. OSHA feels that the receipt of a new MSDS or chemical compels the employer to evaluate the information provided in the MSDS to ascertain whether the new product represents a new health or physical hazard to employees. Training would have to be provided to affected employees when new hazards are introduced into the workplace (not necessarily new chemicals). The intent of the HCS training is to provide information to employees on the hazards they encounter in the workplace. Retraining can be as simple as a weekly safety meeting that highlights new chemicals in the workplace. As long as the initial training covers categories of chemicals and hazards, and how to read and understand MSDSs, retraining would merely have to assure that new products and chemicals are identified to the employees and that the hazards, if any, are recognized. 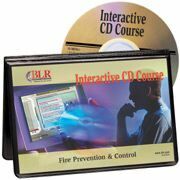 We have all kinds of safety training materials at SafetyEmporium.com. REF: Federal Register, Vol. 52, No. 163, August 24, 1987, Rules and Regulations, Page 31866, Section (h) Employee Information and Training, Paragraph 2. It has been the generally accepted interpretation on 29 CFR 1910.1200 that re-training is to occur whenever a new hazard is introduced into the workplace as evidenced by a new MSDS, a new product, or a new chemical. I'm of the opinion this is incorrect with regards to the reasons for re-training. I also feel that re-training is not required if the initial training is comprehensive and inclusive of all hazard categories. In the above referenced Federal Register, we as trainers are given two options for training. We can train "specifically for each chemical" or we can train "regarding categories of hazards." Now, if we train based upon hazard categories and we cover all of them, is re-training ever required since the hazard can't change?